Stratasys will purchase MakerBot for a $403 million stock deal. MakerBot was exploring another round of financing to fund expansion, but recent industry suspicions pointed toward a merger deal. MakerBot will continue to independently produce products after the merger. 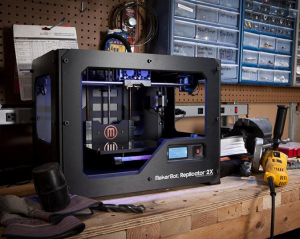 By partnering with Stratasys, MakerBot will have access to the resources and distribution network Stratasys has built. The acquisition fills out the product line of Stratasys with more focus on the consumer end. Competitor 3D Systems (DDD) offers the Cube 3D printer, which competes directly with MakerBot. MakerBot has been criticized for poor management by employees, as evidenced by their reviews on glassdoor. As Stratasys has a more balanced culture, perhaps this acquisition will remedy some of the problems within the MakerBot culture. As MakerBot has grown, they have lacked some of the structure and management needed to support larger scale. The MakerBot acquisition infuses Stratasys with a huge number of hobbyists and small businesses using MakerBot machines. The crown jewel of the purchase is Thingiverse. With over 100 thousand items ready for 3d printing, Thingiverse is the first place many 3d printing enthusiasts check for 3d models. Content is the next big problem for the 3d printing companies. The social network of people with 3d printers and the data about who prints which models with what machines is extremely valuable to Stratasys. The bump in the stock price of Stratasys indicates investors agree that this merger creates a stronger company than Stratasys or MakerBot alone. We’re looking forward to see what the future brings for the new Stratasys.